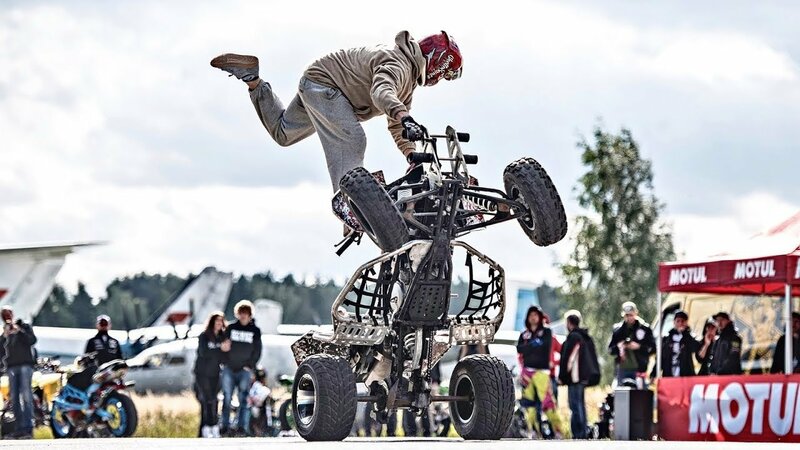 Quad Battle is the first Russian quad stuntriding competition. A few years ago it seemed that it was impossible to show a 2-3 minute freestyle on a quad, because there were not enough stunts. But the riders did not stand still, inventing new movements. 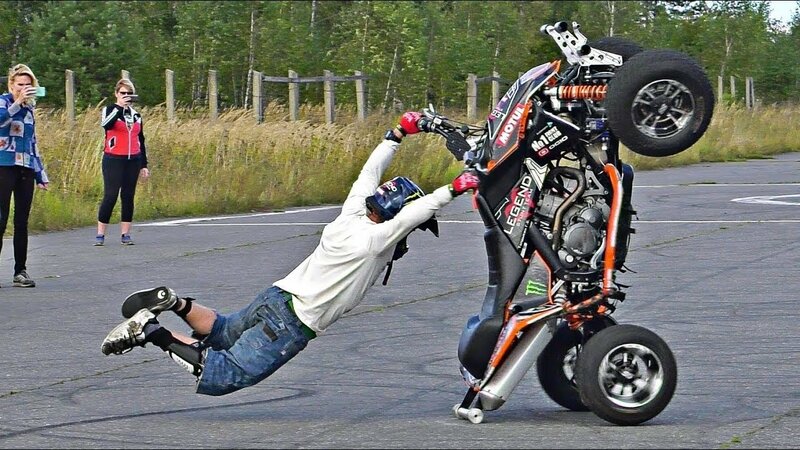 As a result, the arsenal of tricks turned out to be no less than on a motorcycle. The competition took place on the Monino airfield in Moscow region. The winner was the organizer, the famous rider, Griha Taldykin. For the first performance, Griha performed well. In general, everything turned out well, except shuffle 360 with exit onto the wheel. The second place was taken by Valera Kulesha, who was more aggressive, but lost in complexity and diversity. 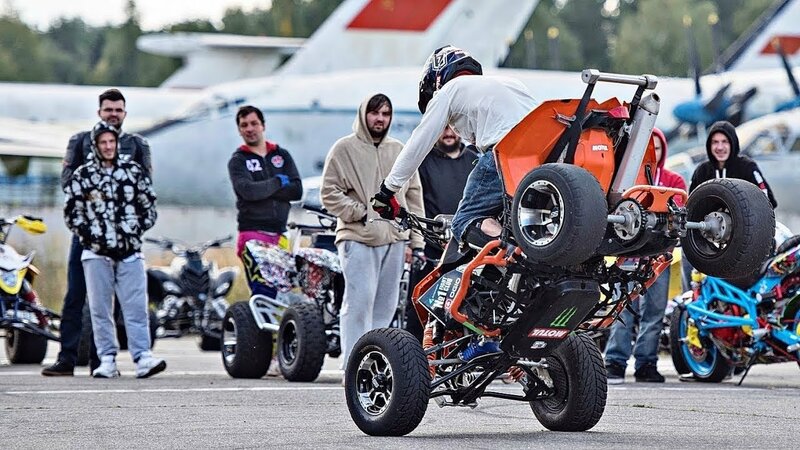 Quad Battle has become a landmark event and has proven that stuntriding on ATV is no less spectacular than on a motorcycle. Most certainly in the nearest future there will be more riders especially as the quad is safer and more affordable: it does not require complicated and expensive preparations - only a helmet and gloves are enough. Hopefully, next year there will be more riders, including the ones from Europe!